All of the forty Year 13 students studying A level Applied Science have set up their own germination tests in the Mendip BioScience Labs this week. 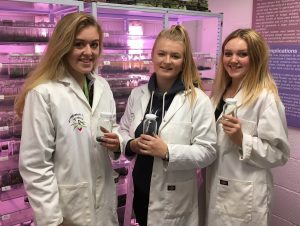 The students visited our partner scientists at the Jodrell Laboratories at Kew in July and have applied their learning from the visit to design their own investigations to study optimum germination conditions in-vitro for a range of tropical and temperate orchid species. Each student has set up a series of test samples to investigate variables including pH, nutrient concentration, agar concentration or light level, and sown orchid seed in each of their samples for analysis under the microscope in three months time. Results will be published in February – watch this space.